By far the most common form of ownership, sole proprietorship is the simplest form of land or business ownership, but with the most complex potential for liability. Suitable for small investors with a limited number of employees, sole proprietors typically enjoy lower overhead costs, fewer regulation, and less reporting than corporations, and often benefit from greater tax advantages. Personal assets, however, are indivisible, and so at equal risk in the event of a bankruptcy or other event. Essentially, there is no difference between the individual and the business, so owners may face unlimited liability. In Ontario, sole proprietors do not need to register their business when conducting business under only one’s legal name. However, adding any alteration, such as “& Co.” or “and Sons” does require registering with the Companies Branch of the Ministry of Consumer and Business Services, which will grant you a Master Business License and is subject to renewal every five years. Under Ontario’s Business Names Act, altered names may net sole proprietors fines of up to $2,000. While not specifically defined under the Income Tax Act, partnerships are nonetheless assessed for validity under common law. Creating a viable partnership agreement covering both operation and dissolution means that the advice of an attorney is needed. In this type of ownership, transferring assets between company and partners can be fraught with tax complications, and so it is prudent to consult an accountant from the outset of planning to avoid unnecessary problems and costs when your newly defined year end rolls around. Using the partnership model, all partners are liable for the business-related actions of other partners. Joint and several liabilities is a major aspect for consideration when forming partnerships. For this reason alone, many will opt, instead, to form a limited partnership which specifically limits a partner’s liability to the amount invested in the company. When registering a limited partnership, at least one general partner, with unlimited liability, must be defined. This type of ownership is most popular where an owner/operator raises capital by selling ownership in a company they manage, without forming a corporation. Limited partners do not participate in management nor vote on company business, but remain as passive investors. Statute Law governs Ontario corporations under the authority of the articles of incorporation, then filing both in an application to the Ontario Ministry of Government Services which, upon acceptance of the application, creates a new legal entity, the corporation. Companies wishing to conduct business or to protect the exclusivity of their name throughout Canada will opt to register federally, under the Canada Business Corporations Act. Within the articles of incorporation, which outline the details of the company’s operations, shares in the corporation will have been established and may be transferred or sold. Any company debt remains the liability of the corporation and shareholder liability is limited to the value of shares held. That benefit is considered valuable enough to offset the on-going costs of maintaining the corporation’s due diligence through record-keeping and government filings. 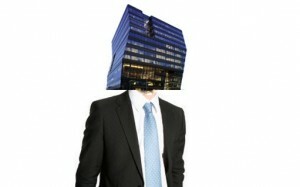 Corporate real estate ventures may not move forward without personal risk despite the newly opened corporate umbrella. Not infrequently, lenders will require personal guarantees alongside corporate ones when new venture capital is sought, particularly in the case of a small or newer investor. 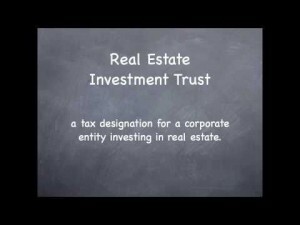 Real Estate Investment Trusts, or REITs, are corporations that represent a group of buyers investing in real estate. Originally designed to allow investors to participate in the financing of large-scale real estate endeavours, some may focus on equity ownership while others are designed solely for mortgage investment. There are also REITs offering a combination of both types of real estate investment. REITs have become more common since their introduction into the Canadian economy 20 years ago. REITs have a longer history in the United States. Increasingly, many REITs are now public companies traded on the Toronto Stock Exchange. though the number is quite small compared to the American tally of more than 300 REITs in public trading. 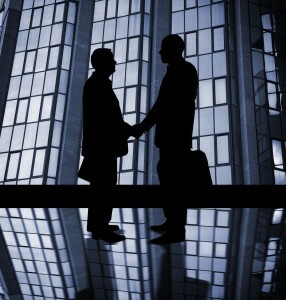 Similar to partnerships, a joint venture may be formed when a group joins forces for a specific real estate investment. In some cases, the “partners” may be two or more corporations with an immediate, common goal. Revenue Canada does not currently recognize joint ventures as having a status of their own and so the daily business of joint ventures is typically administered by the project lead, whether an individual or corporate entity. Expert advice is necessary to avoid undesirable tax implications for this type of ownership. With so many options for ownership, investors will want to consider their individual needs carefully. 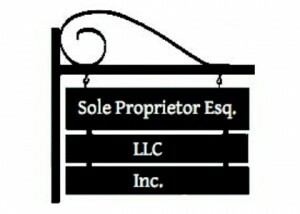 Commercial real estate at the small investor level is often adequately serviced by sole proprietorship. Liability, however, is a major consideration, and legal counsel should be undertaken to determine the best route for your investment strategy. For commercial real estate owners who have not yet sought incorporation, the option is definitely worthy of full consideration to protect yourself and your family in the long run.